As soon as LeBron James announced his decision to join the Miami Heat, Cleveland began burning his jersey and slipped into a deep depression. 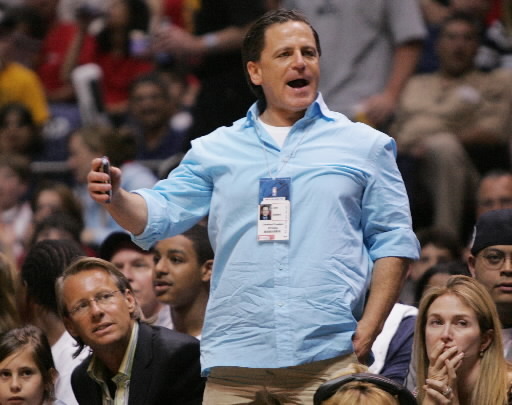 The majority owner of the Cavaliers, Dan Gilbert, felt just as betrayed as LeBron’s former fans. So, he got out his laptop and wrote this very spirited letter to Cleveland Cavalier fans (and LeBron). ENJOY! This entry was posted in Basketball, NBA, News, Sports and tagged Cleveland Cavaliers, Dan Gilbert, LeBron James, Miami Heat. Oooooooooweeeeeeeeeee that man is salty! He didn’t have to go in like that. Smh hopefully this will pass… Now let’s all enjoy some futbal! !